Vistage for chief executives. There’s a lot riding on your decisions. 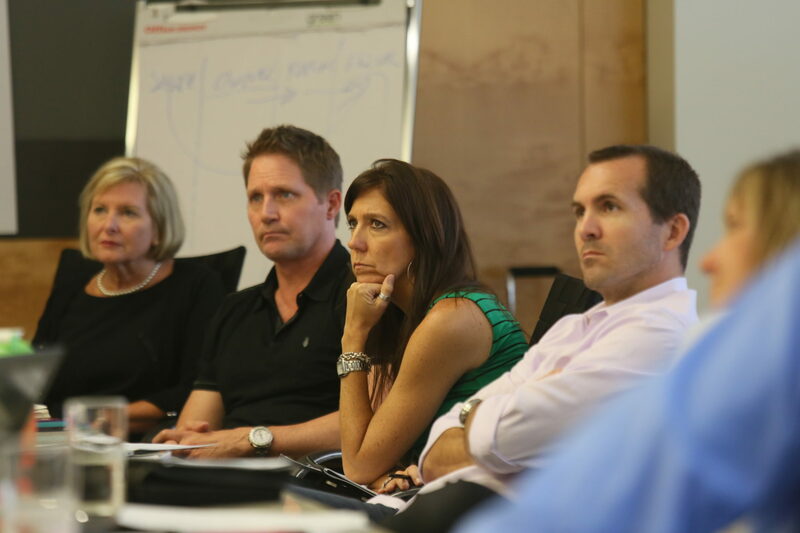 The Chief Executive Roundtable will help you make more effective decisions, many of those leading to powerful results. At the core, a confidential advisory group of peers helps you focus on what’s most critical. Led by an accomplished business leader, this unbiased group will help you solve problems and uncover opportunities. Decision-making: CEOs are always confronted with satisfying the competing priorities of their stakeholders while operating in a fluid and dynamic marketplace. Don’t make those critical decisions alone. Present your key challenges and opportunities to an experienced peer group who has nothing but your best interest in mind. Organization Culture: Every one of our members enters their group as a highly experienced industry executive, yet they also have to balance other key priorities such as culture, brand, leadership, and profitability. The combined decision and initiatives will present you with the opportunity to build and enhance your company culture. Networks & Community: The days are long and the work rarely finished. While resources are often available, many CEOs often have their head down and are busy driving the company agenda. Our members take time away from the day-to-day demands to access professional networks, grow as a leader and contribute to a professional community of peers. Strategic Perspective: The tyranny of the urgent is the dilemma that leaders face. Yet, for businesses to succeed over the long-term, the CEO and business owners must allow their team to manage the operational agenda and support the work of establishing a strategic future direction. Scaling Growth: Gain fresh perspectives on the complex issues needed to optimize business decisions and scale the business for future success. Vistage Works: Vistage helps high-integrity leaders make informed decisions that impact their companies, families and communities. Vistage member companies grow 2.2x faster than average small and mid-sized U.S. businesses.